The school occupies a diverse collection of buildings in the centre of the small Dorset town. A site was found for a new science building on an old swimming pool site, within the school complex. The rectangular, two-storey, block houses physics and electronics laboratories on the ground floor, and chemistry laboratories on the first floor. Due to the sloping site, access can be gained directly to the first floor laboratories by an open colonnade. The street frontage was especially sensitive. 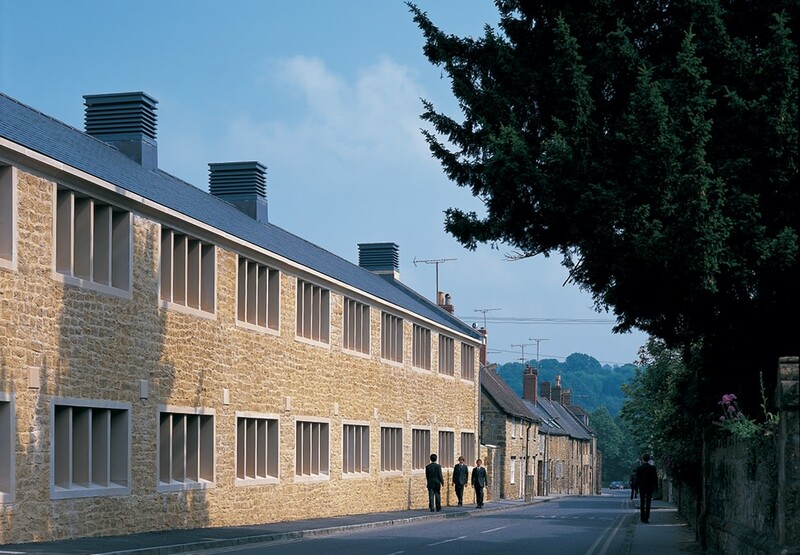 The building fills the gap between a row of cottages to the south and a handsome two-storey house to the north, maintaining the domestic scale and rhythm of the street. It has the simple, practical character of its neighbours. 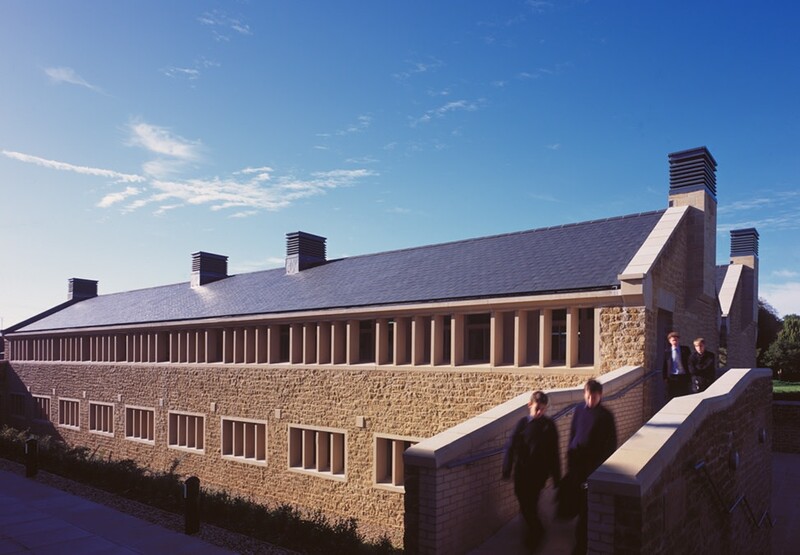 In order to reduce the height and bulk of the building, the pitched, slate roof is doubled, on either side of a central line of rooflights. 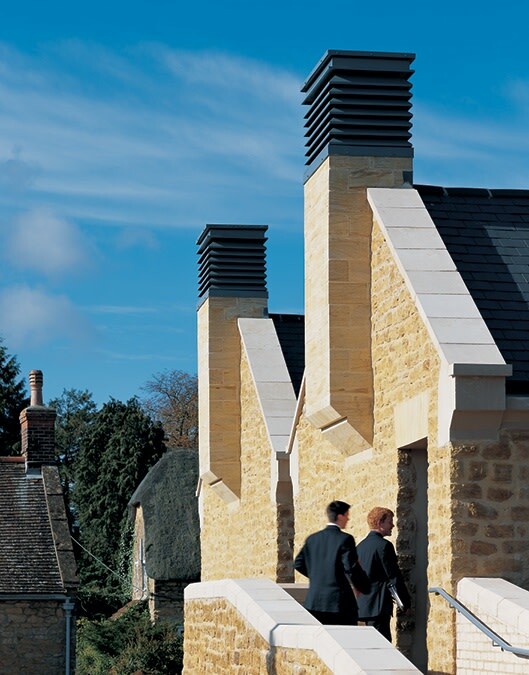 Louvred chimneys at ridge level serve as outlets for fumes from the laboratories. External walls are faced with local Ham stone, uncoursed to match the neighbouring buildings. The chimneys are supported by ashlar stone corbels, and the regular, repetitive, four-light windows are framed and mullioned in reconstructed stone. The first floor colonnade is also framed in reconstructed stone, forming a continuous ribbon version of the windows. 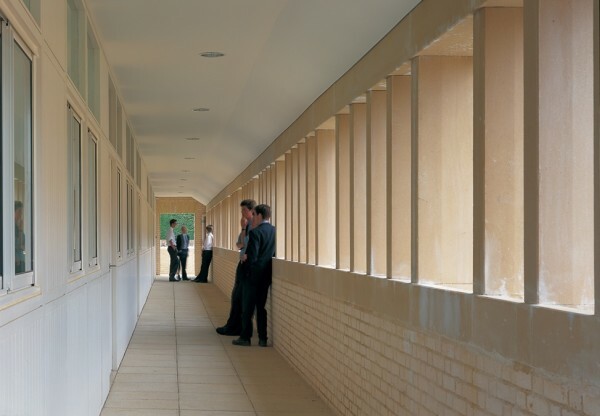 An insulated timber framed wall separates the colonnade from the chemistry laboratories.